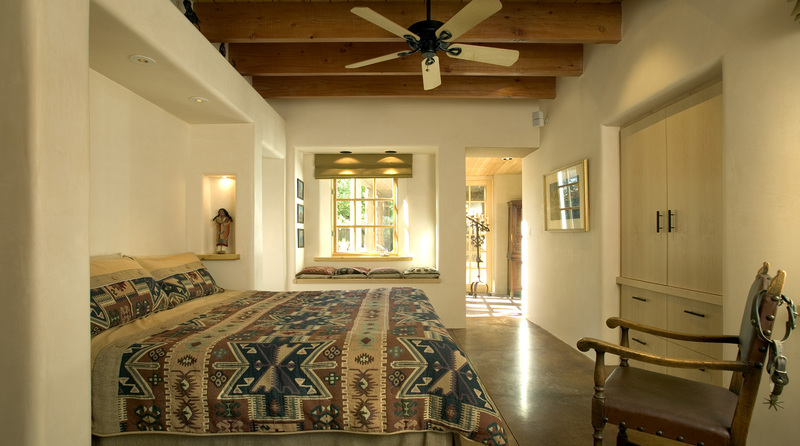 The owners wanted to feel in the house as if they “were on vacation”, with views to the garden from most windows. 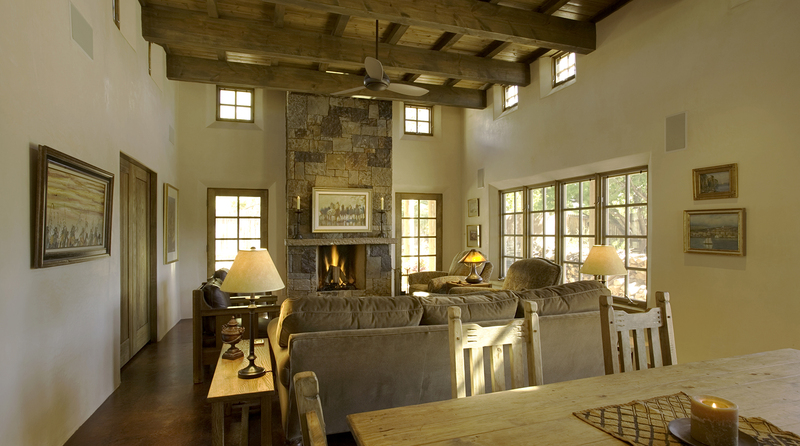 “Cozy and comfortable, lots of places to curl up and relax, with more free and open space,” was how they expressed it. 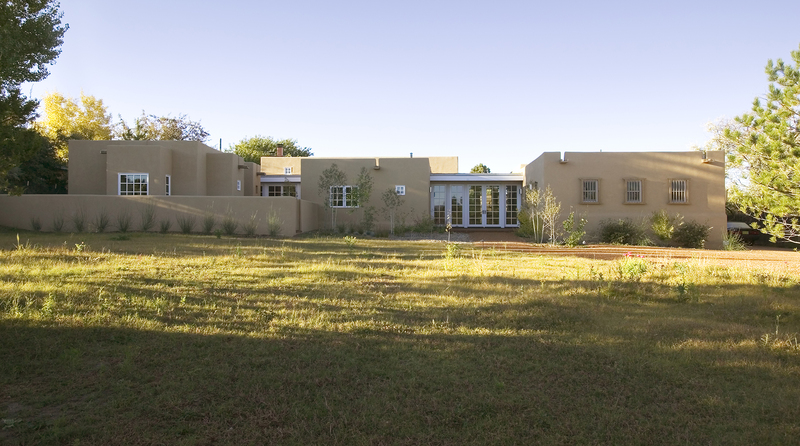 They wanted to convert an existing Territorial style house into a home with a sense of spaciousness to closely match their contemporary lifestyle. 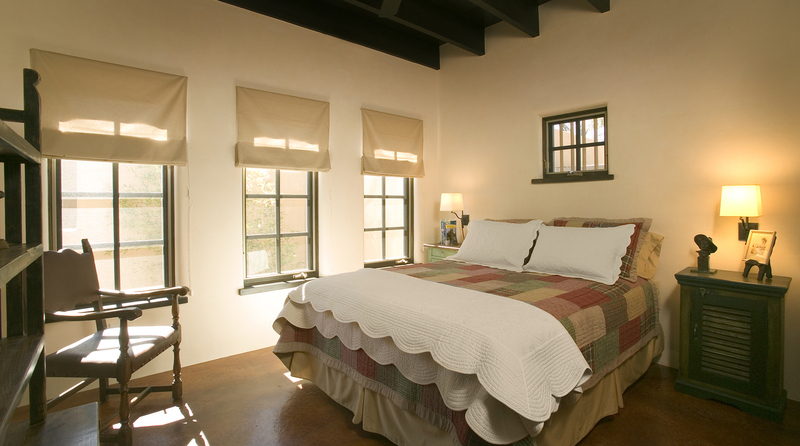 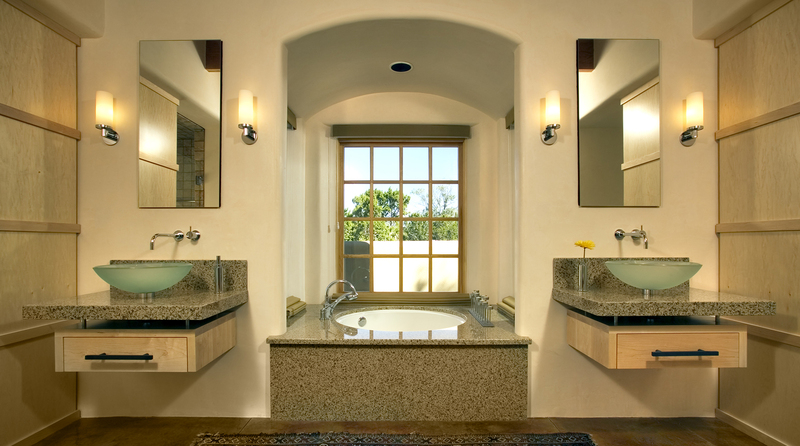 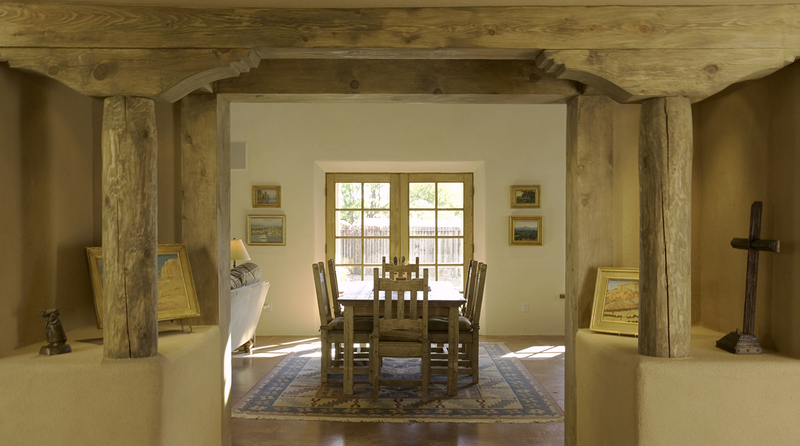 Numerous French doors, windows and clerestories flood the interior with natural light. 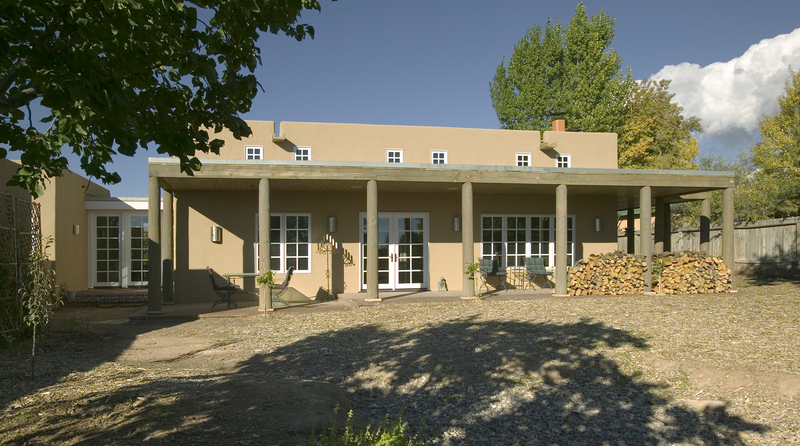 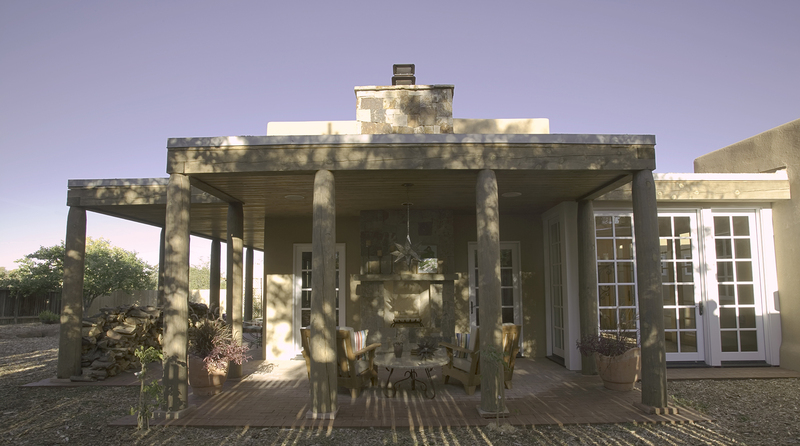 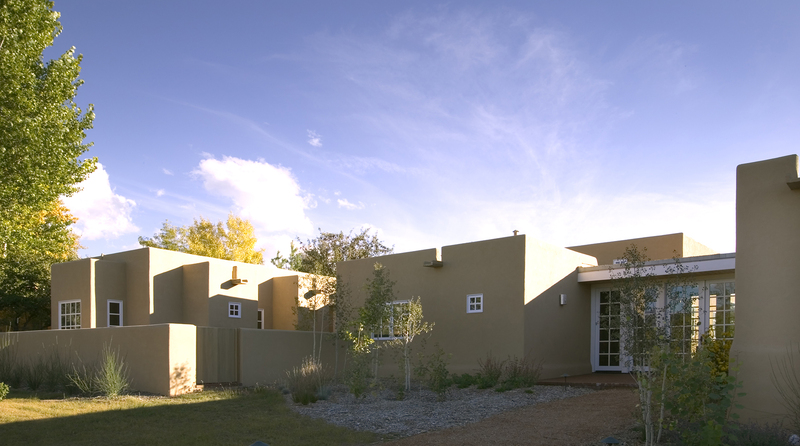 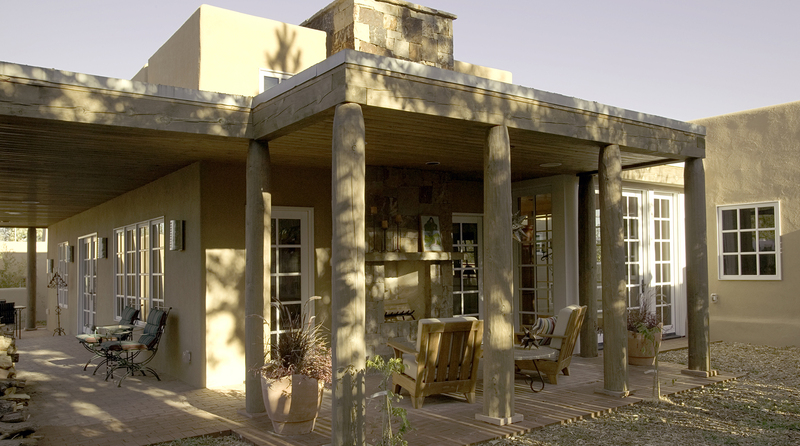 The overall intent was to express the memory of the original house by way of the preserved footprint and to layer this organization with a series of what appear to be freestanding structures linked by a glazed hall, thereby creating a “compound” feeling characteristic of the historical precedents found in Santa Fe. 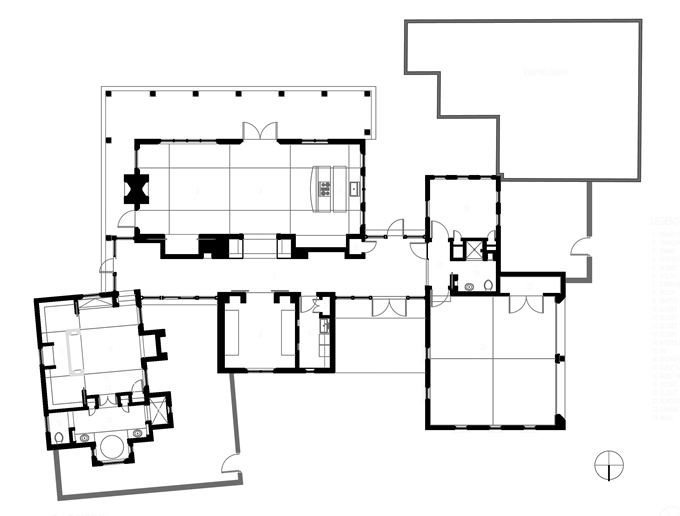 This also provided a closer link between the interior rooms and the exterior gardens and courtyards. 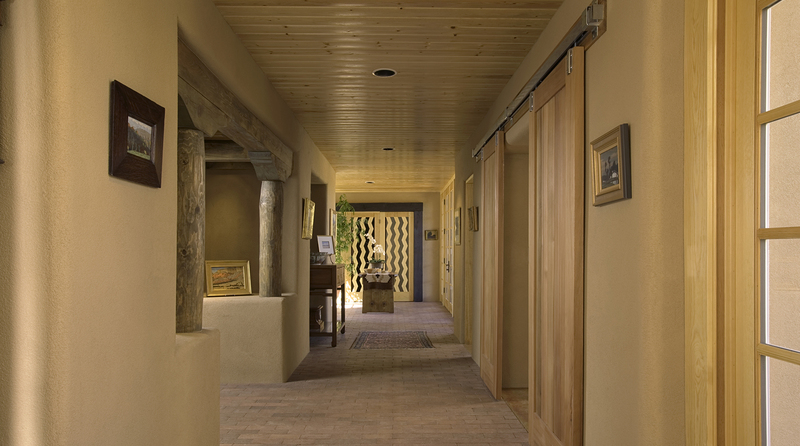 The renovation gestured back to an earlier architectural prototype that took a typical suburban home and infused it with a characteristic that was both historical in reference and contemporary in overall character.